June 5, keep your eyes on the ball! 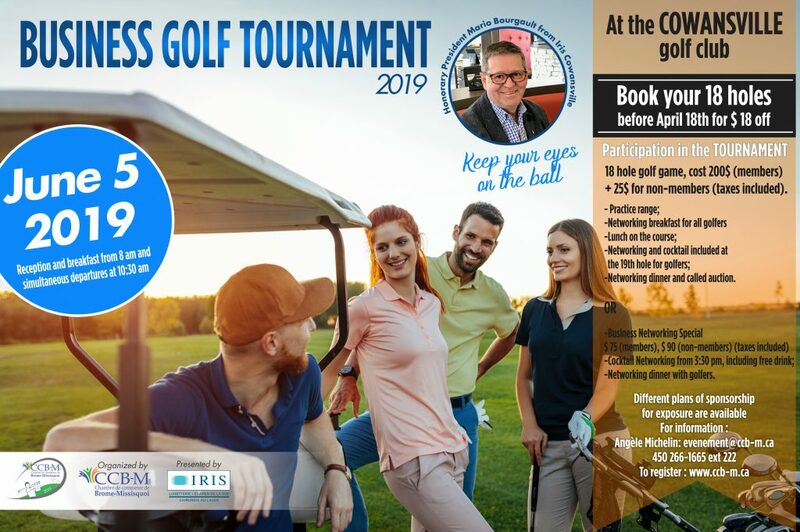 Become a partner of the Brome-Missisquoi Golf Tournament and live up to your ambitions. Be seen by more than 144 players, business people and decision-makers from the region, and get your business or cause forward.